Shreveport is one of the few places in the nation where you can leave your office or home in minutes later be casing in placid green waters for large mouth black bass or skimming across broad expanses of open water in a sail boat or motor boat. Making it all possible is beautiful Cross Lake, source of Shreveport’s water supply, with its 8,960 acres located within the city limits. Its 14 square miles and 56.4 miles of shore line dotted with lovely homes offer to residents one of the finest recreational facilities to be found anywhere. Cross Lake was created as Shreveport’s water supply in 1926 by construction of a concrete dam on the right of way of the Kansas City Southern Railway Company, providing a spillway 225 feet long for lake overflow. Eight thousand feet of the railroad’s embankment on the lake side were made impervious with clay from the lake bed and used as an earthen dam. Large stone was also placed along this earth embankment for protection against wind and wave erosion. Upon completion, the lake had an average depth of 8 feet over 9,000 acres, with a maximum depth of 27 feet in the channel, a width of from 1 to 3 miles by 8 miles in length, and has approximately 56.4 miles of shoreline, and covering nearly 14 square miles of water surface. In 1926, Cross Lake, with its capacity of about 25 billion gallons provided Shreveport with an excellent source of raw water and was a welcome substitute for Red River, the prior source of water supply. The lake served a growing city well until a time during the 1954-1955 drought when an all-time low level was reached. Although there remained over 200 days’ of raw water, at this point it became evident that an additional water supply was needed. Late in 1957, after a combined study by water department and private consulting engineers, the Twelve Mile Bayou Pump Station and an enormous 60-inch transmission main were designed and constructed to take advantage of the tremendous quantity of excellent quality raw water overflowing Caddo Lake Dam and flowing down Twelve Mile Bayou. With this station and transmission main, excess water from Caddo Lake could then be pumped into Cross Lake at a rate of 100 million gallons daily when Cross Lake had space to receive the additional water or when there was available water of adequate quantity and quality in Twelve Mile Bayou to fill the lake at least by June each year. A full Cross Lake at this time was more than adequate to provide the source of raw water for the following summary and fall months. 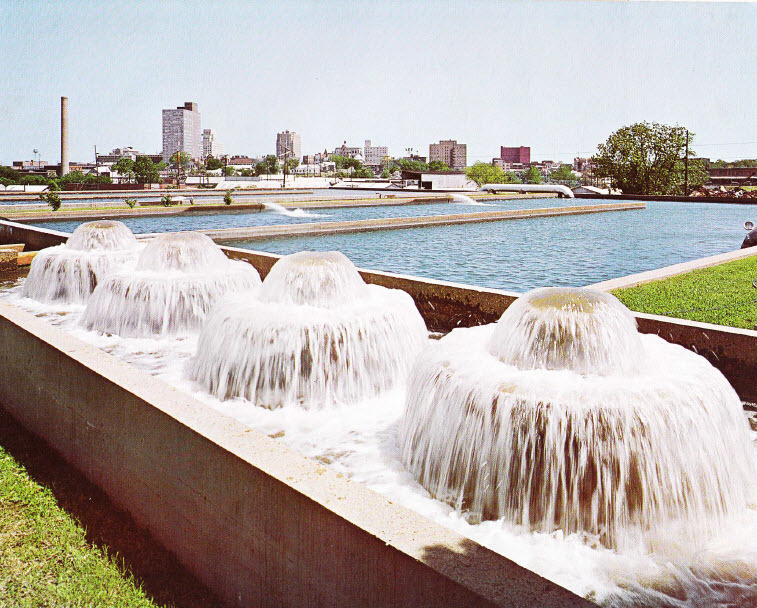 In the spring of 1963, six billion gallons of water were added to Cross Lake from this source and furnished the city an abundant water supply in one of the driest years on record. 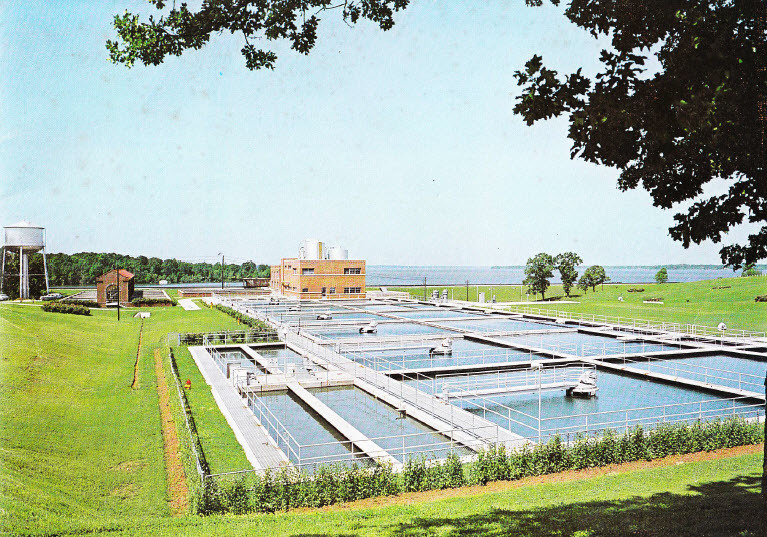 Shreveport is unique in that it has two water treatment and pumping stations, each complete in itself and entirely independent of the other. One station, the Thomas L Amiss Station is entirely powered by electricity. The other, the McNeil Street Station was originally an all-stream station, using natural gas as fuel. Now electric pumps have been added, making the McNeil Street facility a combination steam and electric station. The combined over-all capacity of the two stations is 54 million gallons a day. Because of this combination, Shreveport has a higher assurance of continuity of water service than most cities, a face of which the city is justly proud. This dual power source means that in the event of a complete electric power disruption, Shreveport would still have water for emergency domestic and fire protection needs. This entity in itself is a valuable plus for the City of Shreveport. The first building on the McNeil Street Station site was constructed in 1887 and until 1926, had raw water sources of Twelve Mile Bayou and Red River. Now, however raw water is received through a 3 mile long thirty inch line from Cross Lake. McNeil Street Station has the capability of supplying the city with about 16 million gallons a day. However, for a short period of 3 to 5 hours duration, a demand at the rate of 20 million gallons a day may be satisfied. In 1925, the first Cross Lake Station was completed and has twice since been enlarged. In June of 1963, the station was renamed in honor of Thomas L. Amiss, Superintendent Engineer for 44 years. This station now has a firm capacity of 38 million gallons per day and the ability to meet high hourly demands at the rate of about 47 million gallons per day. Would you like to help us add more updated content?